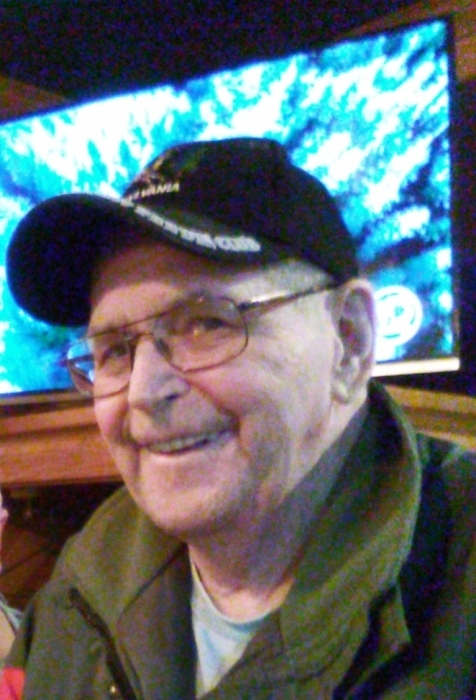 Obituary for Thomas E. Nichols, Sr. | Thomas E. Fickinger Funeral Home, Ltd.
Thomas E. Nichols, Sr., 76, of North Hollow Road, Coudersport, formerly of Tonawanda, NY, passed away Saturday, March 17, 2018 at UPMC Hamot, Erie. Tom was born on June 28, 1941 in Bath, NY, the son of the late Ervin and Iona (Young) Nichols. Tom worked for the Town of North Tonawanda, NY as a mechanic retiring in 1997 after 17 years of service. Previously he owned and operated his own body shop in Tonawanda. Tom was a social member of the American Legion Potter Post 192, Coudersport and a member of the Eulalia Lodge #342 of the Free and Accepted Masons, Coudersport. Surviving are two sons, Thomas E. Nichols, Jr. of Lockport, NY and Andrew Nichols of Alamogordo, NM; a brother, Larry Nichols of Tonawanda, NY; two granddaughters, Alexis and Brittany Nichols., numerous nieces and nephews including his caregiver, James Nichols of Austin and his cat, Buddy. In addition to his parents Tom was preceded in death by a step-son Randy, six brothers; Edward, Russell, Ervin Jr., Charles, Robert “Bill” and Harold “Pete” Nichols and five sisters; Leonore Haight, Ethel Daggett, Alice Kopplinger, Gladys Brent and Phyllis “Cookie” Tackaberry. A committal service will be held March 31, 2018 at 1:00 pm at the Hill Cemetery, Roulette with a celebration of Tom’s life to follow at the American Legion Potter Post 192, 2 Buffalo St, Coudersport, from 2-4:00 pm. Family suggest contributions in Tom's name be made to The American Legion Potter Post 192, 2 Buffalo St, Coudersport, PA 16915.